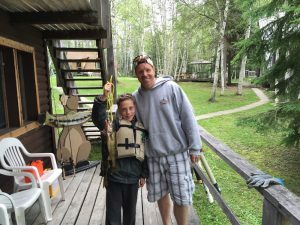 Week 9 guests at Eagle Falls Lodge put their fishing skills on display and the results were impressive! Check out the many pictures! 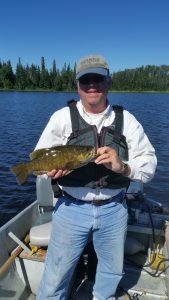 David landed a 17.5″ smallmouth bass. 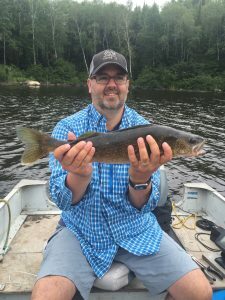 He followed that up with a 22″ walleye on Parker. 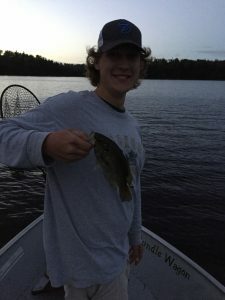 Nick wrestled in this 9″ lunker rock bass. 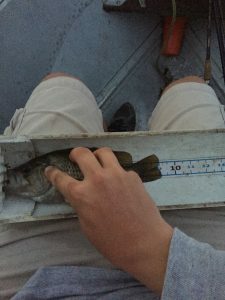 And to make sure the fish would hold up to intense scrutiny, he wisely took a photo of the measurement. He added a 15″ smallmouth. 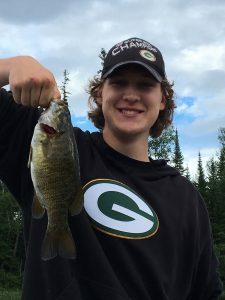 I’m sure wearing all that Packers gear added to his fishing mojo. 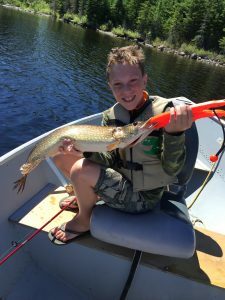 Jeffrey shows off a nice slot pike. 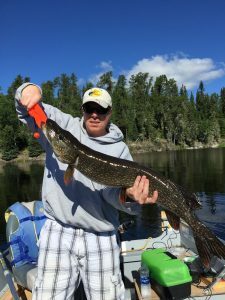 His dad Shawn landed this nice 35″ pike. 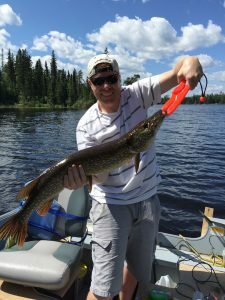 Then Shawn topped that with a 38″ northern pike – on a lindy rig! Jeffrey and Shawn display some great shore lunch fish! 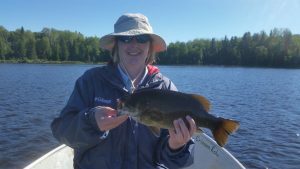 Sue let this beautiful 16″ smallmouth bass go. 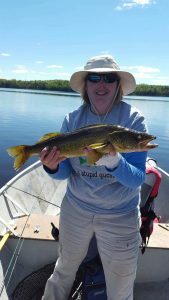 She followed that up with this 22″ walleye on Parker. 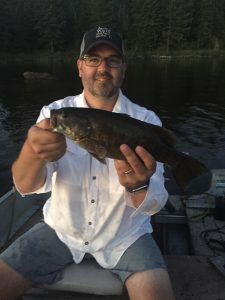 Mark wrangled this 16.5″ smallmouth bass. 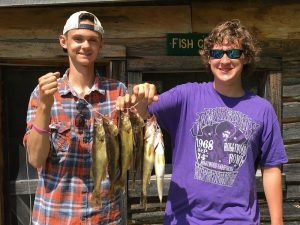 Zach and Nick with a nice stringer of fish. 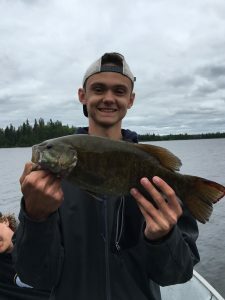 Zach with a great photo of his 17″ smallmouth bass. For those super observant blog readers you may recognize Zach above from his trip two years ago. He was our special guest when we partnered with Make-A-Wish. He made the trip back up this season with his dad and buddy Nick. He’s doing well and just graduated high school. 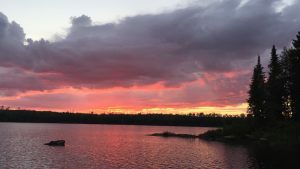 We collected many photos last week, but I believe Zach captured this spectacular sunset on Parker. Thanks for sharing the pictures everyone!